Ahead of the European Union elections, Euronews has been taking to the road to hear what issues are important to you ahead of polls opening on May 26th. So far, the Road Trip has made its way through Portugal, Spain, and southern France, but now the big red sofa is on its way to Italy. One of the issues on people's minds ahead of the elections is the development of a new high-speed railway between Turin and Lyon, travelling through the Alps. The current train line between Turin and Lyon has a journey time of four hours. 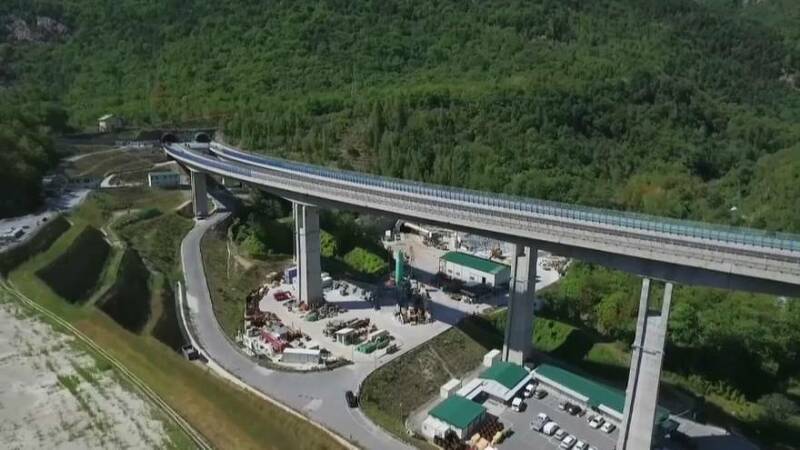 The new train line will cut that journey time to 1 hour 40 minutes, going a long way to create a stronger connection between Italy and France, but due to the furore, the completion date is in doubt. Half of the funding for the project - around €800 million - comes from the European Union. Each year 40 million tonnes of goods are transported by road between France and Italy. The new line will reduce the number of trucks on the roads, going a long way to cut down on pollution in the region. This train line has been considered controversial due to its high expense and environmental impact, with many people considering it to be unnecessary. Attitudes to the development are divided, with the tunnel considered a vote swinging issue in Italy. Governing party La League supports the line, whilst their coalition partners the Five Star Movement are against the plan. Passionate protests against the development, often turning violent, have been seen on the Italian side alone. In France, the project is far less controversial. Euronews will be travelling into the tunnel to see how far along the building work has gone, as well as meeting those in the region affected by its creation.